Warwick has a small number of places available in clearing in the Department of English and Comparative Literary Studies in 2016. Our clearing hotline number is 024 7653 3544 and it will open at 8am on Thursday 18th August. Sarah Moss, acclaimed author and Professor of English Literature and Creative Writing at the University of Warwick, has released her fifth novel. The Tidal Zone articulates family life, NHS healthcare, coping with disaster, and the notion that our lives are all one phone call away from irrevocable change. The story is told through the gaze of Adam Goldschmidt, a stay at home dad of two and jobbing academic, who’s writing a book on the post-War construction of the blitzed Coventry Cathedral. Ordinary life as he knows it is thrown into chaos when his 15 year old daughter Miriam collapses on the school playing field, her body having mysteriously stopped working. Moss has a unique voice, intimate and poetic in its ability to relay personal experiences, and the things we think but do not speak. She effortlessly draws the reader into the places and people about which she writes. “It’s been delightful to meet so many readers at bookshops and festivals this summer, and I’ve particularly enjoyed visiting thriving and cheerful independent bookshops around the country,” Moss remarks. Sarah Moss has written four other novels: Cold Earth; Night Waking, which was selected for the Fiction Uncovered Award in 2011; Signs for Lost Children, and Bodies of Light, which were both shortlisted for the Wellcome Book Prize, in 2016 and 2015 respectively. She also writes non-fiction: she wrote an account of her time as a visiting lecturer at the University of Iceland in 2009-10 called Names for the Sea: Strangers in Iceland, which was shortlisted for the RSL Ondaatje Prize 2013, and was the Mumsnet Book of the Month for July 2013. Moss is also the co-author of Chocolate: A Global History, as well as academic books on Romantic-era British literature, food history and gender. 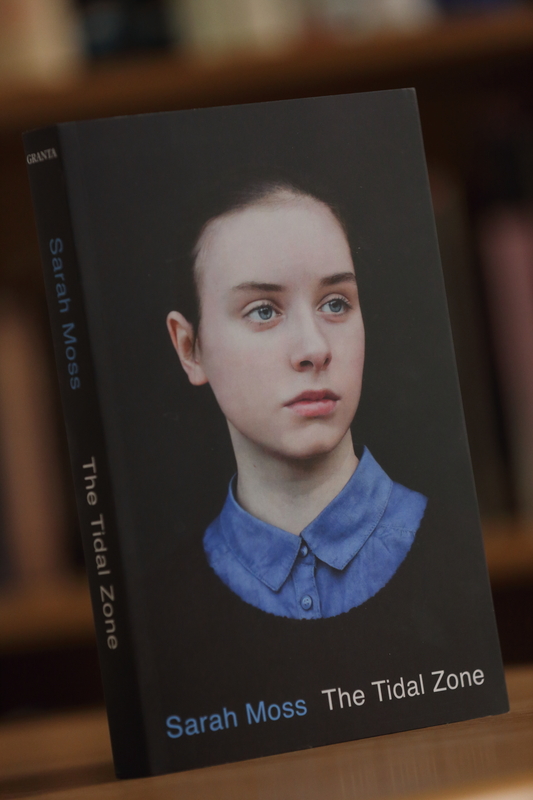 Sarah Moss is currently touring the country to talk about The Tidal Zone, having most recently stopped at the Port Eliot festival in Cornwall in July, and at the Granta Fiction Showcase at Wilderness Festival in August. She will be speaking at Cogito Books in Hexham on Wednesday 17 August.